Unfortunately, accidents happen every day that could and should have been avoided, including those accidents causing serious injuries and wrongful death. At Miller Legal Services, LLC, our attorneys work one-on-one with those that have suffered personal injury in Wisconsin. Cases are not passed down to a legal assistant, paralegal, or investigator; instead, we will work directly with you throughout the process, from start to finish. If you have been injured, it can be important to gather as much information as possible immediately after the accident, whether that be obtaining witness statements, taking video or pictures, taking measurements, and preserving crucial evidence; and to assist with this process, we will meet with you at the accident site, the hospital or your home. Call an experienced accident attorney for your free consultation. Our attorney’s fees are earned based upon the settlement or recovery we obtain on your behalf — no attorney’s fees are due until you are compensated. If you have been injured or if loved one has been injured or suffered a wrongful death, contact a personal injury lawyer at Miller Legal Services, LLC and let us guide you through this difficult time in your life. We can help you secure a fair and just settlement to compensate you for losses you have incurred, including losses for: past pain and suffering, future pain and suffering, past and future medical care and hospital expenses, chiropractic and health care expenses, disfigurement, disability, scarring, loss of companionship, emotional care and support, loss of earnings, loss of earning capacity, loss of business profits, property damage sustained, and severe emotional distress. In the United States in 2009, nearly 34,000 people died from motor vehicle traffic accidents. Many car and motorcycle accidents should have been avoided. In fact, motor vehicle accidents is the leading cause of preventable death in the United States each year. Sadly tragic car and motorcycle accidents can result not only in death but these accidents can cause horrible injuries including brain damage injuries. According to the Centers for Disease Control and Prevention http://www.cdc.gov on average, approximately 1.7 million people sustain a traumatic brain injury annually. A lifetime of nursing care may be required when a person sustains a traumatic brain injury (TBI) that renders him or her unable to perform basic life functions. Traumatic Brain Injury (TBI) can result when the head collides with an object such as a windshield or dashboard. The brain does not heal like other body parts and damage can result in loss of motor skills, memory, and nerve function. Contact the Wisconsin car accident lawyer who is equipped to help you with your brain, spinal cord, back, neck, soft tissue, or whiplash injuries sustained in accidents which can cause temporary or ongoing permanent mental and/or physical difficulties. To understand the physics of automobile accidents, it helps to know the human head weighs about at much as a bowling ball or about 10 pounds. Now imagine destructive result when a 2000 pound car impacts another car and causes the human head to violently be thrown back and forth. Think of a bowling ball on your head and the only thing that is holding the bowling ball in place is soft tissue — when an car accident happens that causes your head (the bowling ball on your shoulders) to thrash violently forward, backward, or sideways, significant brain, neck, and/or upper back injuries can result. Whiplash injuries are the most common injuries sustained in a car accident. Whiplash symptoms from a car accident may include fatigue, dizziness, jaw pain, headache, neck pain, and back pain. These injuries can be difficult to diagnose and the injury may not manifest itself for weeks or months after the accident. Call for a free consultation and talk to an experienced attorney to maximize your whiplash settlement recovery. Car and motorcycle accidents can also cause other traumatic injuries including paralysis, disfigurement, blindness, loss of sight, broken bones, burns, and impairment or loss of use of body parts, including leg, knee, arm, hand, and shoulder injuries. A number of factors contribute to the risk of vehicle collision including: vehicle design, speed of operation, road design, and driver impairment. Tragic accidents can also result from drunk drivers, drivers under the influence of alcohol, drugs and narcotics, and accidents due to a driver’s improper use of prescription drugs. Injuries sustained in car and motorcycle accidents can also happen because of inattentive driving, distracted drivers, drivers who text or talk on their cell phone, drivers reading emails, books, maps, or putting on makeup, and drivers driving too fast or too slow for the conditions, or because of erratic driving. Contact the Wisconsin car accident lawyer who is equipped to help hold accountable those that have caused you traumatic injuries including paralysis, disfigurement, broken bones, burns, and impairment or loss of use of body parts, including leg, knee, arm, hand, and shoulder injuries. 1.) Don’t leave the scene of the accident. Call 911. Even if it first appears that everyone is fine, law enforcement assistance may be needed to manage traffic, clear the scene, and complete an accident report. 2.) Obtain necessary medical treatment. 3.) Assist the injured and warn other drivers. 4.) Call for and assist law enforcement. Obtain an accident report if available. 5.) Identify the other driver and obtain the names and telephone numbers of witnesses. 6.) Keep a record of the accident and complete a “Driver’s Report of Accident” if a law enforcement agency has not done so. In Wisconsin, the form can be found at www.dot.wisconsin.gov. 7.) Do not admit guilt and pay nothing. Do inform your insurance company of the accident. 8.) Comply with the financial responsibility (insurance) law. 9.) Seek professional advise and select an attorney who understands the law. 10.) Do not sit on your rights. Remember that the time for making a claim is limited. The sooner you contact an lawyer after the accident, the more the lawyer can help you receive fair and adequate compensation for your injury. Our car accident and motorcycle accident attorneys will hold accountable the involved insurance company and their insured who are responsible for causing the traffic collision, motor vehicle collision, motor vehicle accident, car accident, or car crash. Unfortunately, your life will never be the same, but our lawyers will fight to restore your life as best we can and help you obtain a just result and bring closure to your tremendous loss. If a member of your family has been killed from a commercial trucking or snow-plow accident or tractor trailer crash, or if you have been seriously injured call the lawyers at Miller Legal Services, LLC today for a free, no obligation consultation about your rights to fair and just compensation for your family’s loss or your injuries. When a driver of a commercial or municipal truck is careless, negligent, or reckless, tragedy can strike. By the shear size of these vehicles, when something goes wrong, serious personal injury or death can result. Often over-the-road truckers, snowplow operators, and other commercial or municipal vehicle operators are under time pressures and they can make poor choices under fatigue or in certain weather that can result in serious catastrophic injury or death. We will fight to hold them and their company or municipality responsible for their avoidable mistakes. You want legal representation that will help you maximize your recovery. Our attorneys are experienced in combating difficult insurance companies. The insurance company’s only goal is to minimize your recovery. Our Wisconsin trucking-accident lawyer, large commercial vehicle, and snow-plow accident lawyers can help you recover your personal injury damages or fatal accident losses for: past pain and suffering, future pain and suffering, past and future medical care and hospital expenses, chiropractic and health care expenses, disfigurement, disability, scarring, loss of companionship, emotional care and support, funeral costs, loss of earnings, loss of earning capacity, loss of business profits, property damage sustained, and severe emotional distress. Boats, jet skis, and other personal watercraft can be very fun. Unfortunately, carelessness or negligence in the maintenance or operation of these watercraft can cause horrific boating accidents resulting in serious injury or fatalities, including drowning deaths. If you have been injured or if loved one has been injured or suffered a wrongful death, contact the Wisconsin boat accident lawyer at Miller Legal Services, LLC and let us guide you through this difficult time in your life. We can help you identify sources of insurance coverage and secure a fair and just settlement to compensate you for losses you have incurred. Swimming pools and trampolines can be very fun. Unfortunately, swimming pools and trampolines can be the source of serious injuries. Swimming pool accidents and trampoline accidents can tragically result in death. Over 1,000 children die each year from swimming accidents. Other horrible injuries can also result including brain and back injuries, paralysis, disfigurement, broken bones, and impairment or loss of use of body parts. If you or a loved one has been injured in a swimming pool, contact Wisconsin swimming pool and failure to supervise lawyer, Miller Legal Services, LLC, and we will fight to hold whoever is responsible for the accident accountable for your losses. More than one in four fatal drowning victims are children 14 and younger. For every child who dies from drowning, another five received emergency department care for nonfatal submersion injuries. Nonfatal drownings can cause brain damage that may result in long-term disabilities including memory problems, learning disabilities, and permanent loss of basic functioning (e.g., permanent vegetative state). The attorneys at Miller Legal Services, LLC, have successfully resolved a case involving children receiving electrical shocks in a resort swimming pool, i.e. swimming pool “stray voltage”. We are also very experienced with handling legal cases involving improper wiring of both the customer (home, farm, or resort wiring) and the electrical company’s wiring (electrical utility or electrical cooperative). The source of electrical shocks can be either source and proper data collection, testing, and investigation is needed to determine the source of the stray electrical current. “Stray voltage” or “stray current” in or around swimming pools can not only result in children or adults receiving electrical shocks, but can also result in electrocution deaths. Swimming pool electrical shocks and resulting electrocution are not an unfortunate fluke of circumstances. These injuries can and should be prevented, especially those injuries and deaths caused by stray electricity emanating from an electrical utility or electrical cooperative. The U.S. Consumer Product Safety Commission (CPSC) and the American Red Cross have warned of the dangers http://www.cpsc.gov/cpscpub/prerel/prhtml03/03125.html. Moreover, national experts such as Donald Zipse, a Life Fellow of the Institute of Electrical Electronics Engineers (IEEE), have been published on the subject since 1999. Many times, swimming-pool injuries and swimming-pool accidents should have been prevented. Wisconsin pool injury lawyer, Miller Legal Services, LLC, will fight for your rights and to recover fair compensation for you and your family. Similarly to pool accidents, many trampoline injuries should have been prevented but instead result from negligence or carelessness of the home owner. In order to for children to be safe, trampolines need to be properly assembled and properly maintained. Also, children on trampolines need to be properly supervised and monitored by responsible results. If you have a child that has been seriously injured because of a trampoline-related accident, contact the Wisconsin trampoline injury lawyer, Miller Legal Services, LLC, to fight for your rights and to recover fair compensation for you and your family. According to the Centers for Disease Control and Prevention http://www.cdc.gov every day, 435 children ages 0 to 19 are treated in emergency rooms for burn-related injuries and two children die as a result of being burned. Contact the personal injury, wrongful death, and accident lawyers at Miller Legal Services and let us put our dedication and experience to work for you. We help clients and their families recover the compensation they deserve from serious personal injuries and fatal accidents. We have lawyers licensed in Wisconsin. Our law office is located in downtown Hudson, Wisconsin. 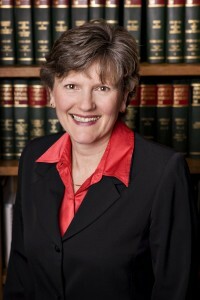 The law firm of Miller Legal Services, LLC, provides legal advice and representation for people filing personal injury and wrongful death claims in communities throughout Wisconsin, including in Barron, Buffalo, Burnett, Chippewa, Clark, Eau Claire, Dunn, Pepin, Pierce, Polk, Rusk, St. Croix, and Trempealeau counties. To effectively meet our clients needs through this difficult time, our Wisconsin personal injury attorney will come meet those have been injured throughout Wisconsin including at the hospitals and homes, including in the cities of Alma, Amery, Arcadia, Baldwin, Balsam Lake, Barron, Chetek, Chippewa Falls, Cumberland, Deer Park, Dresser, Durand, Eau Claire, Ellsworth, Elmwood, Glenwood City, Grantsburg, Hammond, Houlton, Hudson, Ladysmith, Luck, Maiden Rock, Menomonie, Mondovi, New Richmond, Osceola, Prescott, Rice Lake, River Falls, Roberts, St. Croix Falls, Shell Lake, Siren, Somerset, Spring Valley, Spooner, Star Prarie, Stanley, Turtle Lake, Webster, Whitehall, Woodville.